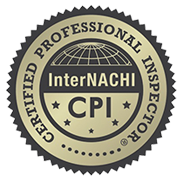 At Premier Inspection Services, owner and inspector Todd Smith holds a NYS Mold Assessor License #MA00505 and is an ACAC Certified Residential Indoor Environmentalist (CRIE) for air quality issues such as mold and other allergens. New York State law has required licensing for mold inspectors since 2016, and our services go above and beyond all state requirements. During the inspection, we look for signs of mold and collect samples from around the home for testing. You will then be given a detailed and unbiased report of our findings so that you can start the remediation process. If you suspect mold growth or mold spores in the home and are looking for professional remediation advice, give us a call today! The New York State law for mold licensing benefits home owners and buyers by ensuring that all mold inspectors have received proper training and education. However, many inspectors offering this service have only completed the minimum licensing requirements and don’t have the experience that our customers have come to trust. We have worked in the mold inspection industry for many years, have accumulated certification beyond what is required, and have completed hundreds of comprehensive mold inspections for our happy clients. There is no substitute for experience! Mold in the home can cause damage to property surfaces and often suggests moisture intrusion and leaks that need to be addressed promptly. Additionally, an untreated mold problem can affect more than just the home – it can negatively impact the health of the people living inside! Mold can affect each person differently but is most notably linked to aggravating allergies and asthma as well as causing other respiratory health issues. Don’t let a mold problem go unremedied. Schedule an inspection with our licensed professionals today! Contact Todd Smith at Premier Inspection Services today to schedule any of our comprehensive mold inspection services.